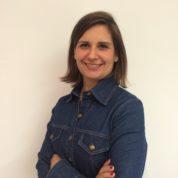 Ana Gabriela Pessoa is VP of Strategic Partnerships at Pearson Education. Ana graduated from the International Education Policy Program at the Harvard Graduate School of Education in 2007. Shortly after, Ana founded Ezlearn, one of the first edtech startups in Brazil, which was acquired in 2013. She is a graduate of the University of Pennsylvania, and selected as a Young Global Leader by the World Economic Forum in 2013. She is passionate about how technology can help solve some of the greatest educational challenges in the world. Great teachers impact you for life. This prize honors the most important job in the world.